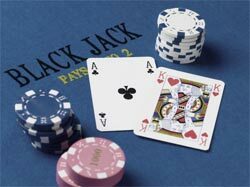 In European Blackjack the object of the game is the same as in standard Blackjack, i.e. to beat the dealer by having a hand that totals 21 or is closer to 21 than the dealer's hand. This variation has worldwide popularity; here the dealer receives a second card (or hole card) only after all the player hands have been completed. Early Surrender half of bet on non-dealer ace.